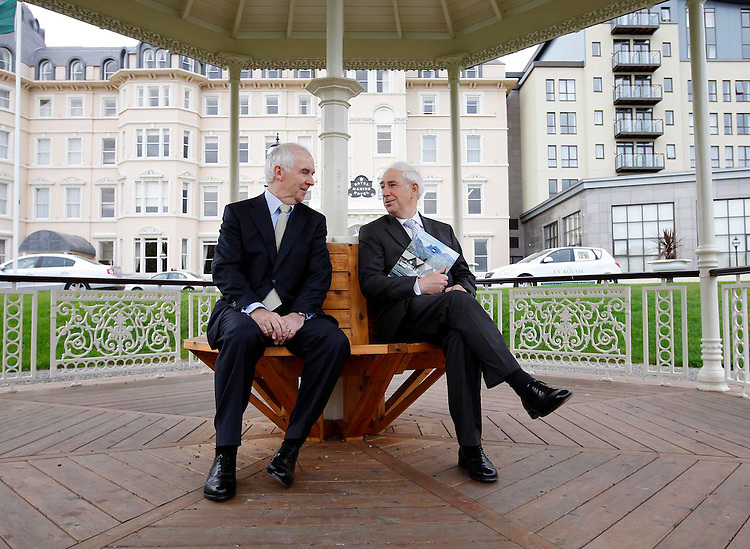 Myles Lee, Chief Executive (left) and Kieran McGowan, Chairman of CRH Plc., pictured here prior to the Annual General Meeting of the company held in the Royal Marine Hotel, Dun Laoghaire, Co. Dublin. Pic. Robbie Reynolds.